Begin your journey to a more refreshed you... with natural looking results. A safe non-invasive treatment that creates a more youthful, relaxed, and refreshed looking appearance. Treat moderate to severe frown lines, smoothen out fine lines by relaxing the muscles underneath the skin and preventing it from contracting into a wrinkle. The effects usually last from 3 – 4 months but after time repeated treatments begin to last longer. It is so quick and simple you may resume to your normal activities right away. Dermal fillers are products that are injected into the skin to fill imperfections from the signs of aging by restoring loss of volume, smoothening lines and keeping your skin hydrated. Some fillers also stimulate the production of your own skin’s collagen. Facial folds, lines, and wrinkles, droopy corners of mouth, lip wrinkles, forehead and frown lines along with increasing fullness of the lips. Dr. Maria Tetelbaum offers a variety of dermal fillers in order to develop a treatment regimen to help her patients achieve their appearance goals. The treatment is very safe and results are immediate, look natural and can last up to a year with no downtime! The most common option requested by patients today... "Turn back the clock on my skin!" This combination treatment of BOTOX® Cosmetic and Dermal Fillers will balance total rejuvenation that is natural, subtle, immediate and long-lasting! The approach is simple…creating an overall refreshed you! In our office we treat/remove a wide variety of growths and spots that, although not serious, are of cosmetic concern to our patients. It is essential to have a correct and proper diagnosis of any lesion before treatment is chosen. 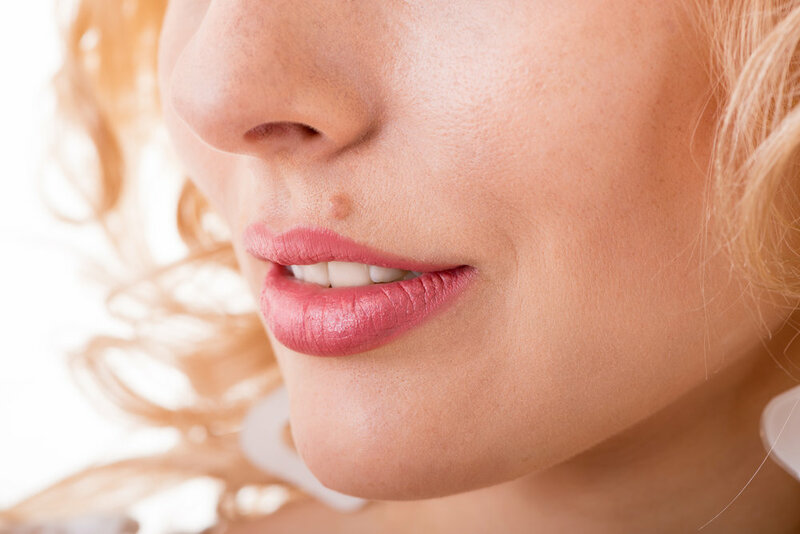 To inquire if mole removal is right for you, schedule your complimentary consult. Dr. Maria Tetelbaum will assist you to make the most informed decision. Welcome to Synergy Centre - Beauty Within located in London, Ontario where Dr. Maria Tetelbaum and her team are committed to excellence in your aesthetic care. We offer our patients with top quality non-invasive aesthetic services like BOTOX® Cosmetic, and dermal fillers such as the Juvederm®Vycross series - namely Voluma, Volift and Volbella. Dr. Maria Tetelbaum also offers cosmetic mole removal procedures, Botox for treatment and prevention of chronic migraines and excess sweating – Hyperhidrosis. The complete skin analysis and medical aesthetic treatments are performed by Dr. Maria Tetelbaum exclusively. By using only the most advanced techniques, finest products, meticulous attention to detail, Dr. Tetelbaum works closely with her clients to achieve a beautiful natural looking and realistic outcome. Synergy Centre is proud to serve Southwestern Ontario including London, St. Thomas, Ilderton, Strathroy, Sarnia, Grand Bend, Exeter, Dorchester, Ingersoll, Tillsonburg, Stratford , St. Mary’s and all surrounding areas. Consultations are complimentary – we strive to make your first visit a very pleasant and meaningful experience. We customize our treatments to suit your needs safely and effectively therefore our quotes are individually considered. Dr. Maria Tetelbaum welcomes you to visit her at Synergy Centre where we will help you rediscover your inner confidence, reaching your natural potential...the Beauty Within. Begin your journey to a more refreshed you...you've waited now its time. Love your journey to a more refreshed looking you ! Don’t miss our Spring PROMO Week - April 29 - May 3!! Our consults are complimentary - it all begins with a conversation. Begin your journey to a more refreshed you this year. We can help. At Synergy Centre’s Beauty Within, we offer the Belkyra TM injectable treatment to eliminate profile of moderate to severe fat below the chin [also known as the double chin]. Belkyra TM is an injectable prescription medicine made of a synthetic form of deoxycholic acid, a naturally occurring substance in the human body. Belkyra TM destroys the membranes of fat cells and assists with the absorption of fat. Approved by Health Canada, Belkyra TM is effective in improving the appearance of the submental fat over a series of sessions. The treatment can help redefine your jawline and improve your profile. It is an appealing treatment for clients wishing to avoid surgery. Your first step is scheduling your complimentary consultation with Dr. Maria Tetelbaum at Synergy Centre - Beauty Within. We’ll discuss your goals and create a personalized treatment plan together.